Christmas is, for many, the most difficult time of the year for successfully banishing the Wine Witch. Good intentions can swiftly go out of the window as family members start pouring the Bucks Fizz on Christmas Morning before the breakfast dishes have even been cleared away. At Soberistas, we want to provide you with an extra incentive to get you through the booze-soaked holidays, alcohol-free – and here it is. By signing up to the Soberistas31 campaign, you’ll be committing to not drinking alcohol for the 31 days of December. At the end of the month, we’ll ask you to donate a percentage of what you would have spent on booze over the festive period to Rainbow Trust, a UK-based charity which does a huge amount of good. Rainbow Trust’s goal is simple: to help the parents and families of life-threatened or terminally ill children to cope with something so traumatic it is difficult to imagine. They do this by providing Family Support Workers who become a trusted part of the family. The impact a Rainbow Trust Family Support Worker has on a family’s life is immeasurable. They are the difference between a mum, tired and exhausted with worry, crying herself to sleep alone and the friendly voice at the end of a phone line, understanding and reassuring. They are the difference between a three hour stressful journey with a sick child on public transport and a comfortable car journey with someone trusted to support you through the day. They are the difference to a young sibling, angry and upset at their sister’s death; and a child, who understands why their sister was sick and knows that cancer isn’t going to get them too. Soberistas31 gives you the opportunity to live alcohol-free for the 31 days of December whilst simultaneously raising money for this incredibly well-deserving charity. We have set up a ‘Just Giving’ page which can be accessed wherever you are in the world and which makes it incredibly simple to donate your chosen amount. 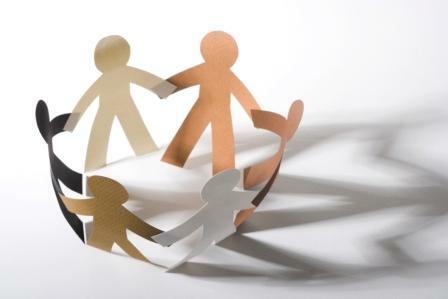 We have created a special Soberistas31 forum category on www.soberistas.com which is specifically for all those taking part in the campaign to share their journeys – we know there may be tough times ahead, so we will be keeping a close eye on this page and providing advice to help wherever we can to get you through to January 2014. We have also created a hash tag for all our Soberistas Twitter followers (#soberistas31) so you can keep track of the progress of other partakers and receive motivational tips. Who knows – by successfully completing the Soberistas31 challenge, you might just find the impetus you’ve been searching for to make the switch to alcohol-free living for good. And you’ll be helping desperate families to find some comfort during their darkest hour. We had about a hundred people sign up during our launch night, and that first small clan of Soberistas hovered nervously around the site waiting for somebody to post something or to write their thoughts down in the Chat Room. It was a very special time filled with anticipation and hope, and the culmination of many weeks of hard work preparing Soberistas for public use. Today is our first birthday. We now have approximately 15,800 members from across the world, some men, mostly women, all who have been affected negatively in some way by alcohol and all of whom wish to seek out a happier and healthier life. Soberistas has been featured in numerous publications and on TV on many occasions since our inception last year, largely because we offer a special approach to alcohol misuse problems that hasn’t existed previously. I put this ‘special approach’, which works so well for so many, down to our fantastic members who are supportive, inspirational, thoughtful, kind, responsible and, at times, very funny. When I read through the comments and blog posts on Soberistas I often cry, laugh, smile and nod my head in agreement. Many times I wish I could throw open my arms and give a collective hug to all those who are feeling so tender and vulnerable, and to find a way to make them see right there and then how life really does improve month on month just as soon as you take the leap to alcohol-free living. At Soberistas HQ, we have worked very hard over the last twelve months, striving to improve the experience of the website for our members as well as to spread the word in order to reach even more people with this problem – something which, often, they have never discussed with anybody at all prior to signing up. 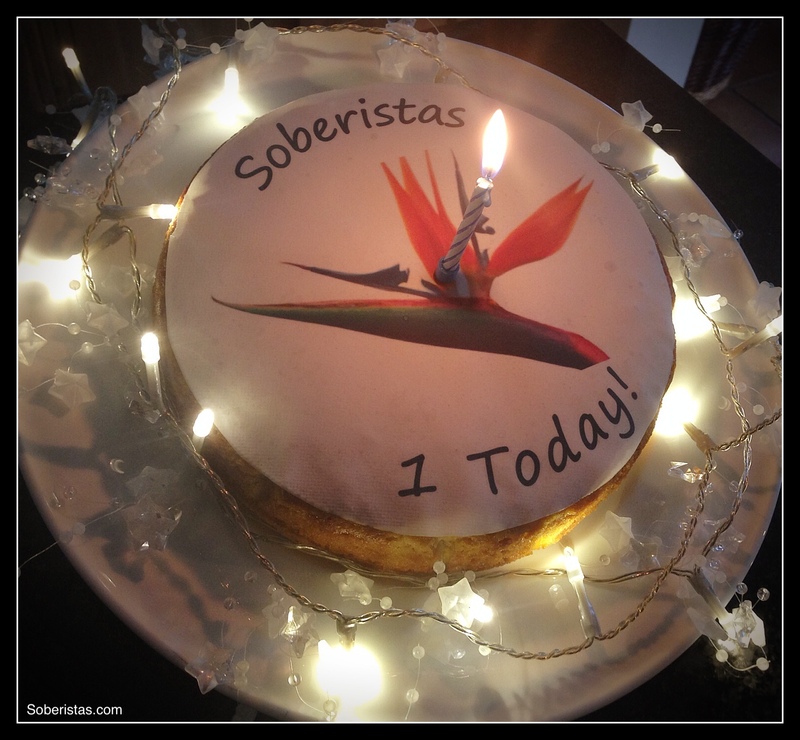 I love Soberistas, it has become such a huge and important part of my life and I am so excited that as we celebrate our first birthday, we are caught up in preparations for our re-launch on January 2nd 2014. The new-look site will have many more helpful features (all of which you can read about on WordPress in our special Soberistas Re-launch Advent starting on December 1st), a brand new logo, and a great new layout which will make our members’ user-experience even better. So this is a happy birthday to us, and to you, and a massive thank you to all who have supported us since we launched on November 26th 2012 and who have helped us reach where we are today. Next week it is Soberistas’ first birthday and so I thought I would share with you the reasons why I wanted to create the website in the first place. For many years I was a drinker: not a secretive drinker in most respects, in that everyone I knew would have definitely classed me as something of a wino, but very clandestine in the thoughts I harboured about alcohol. 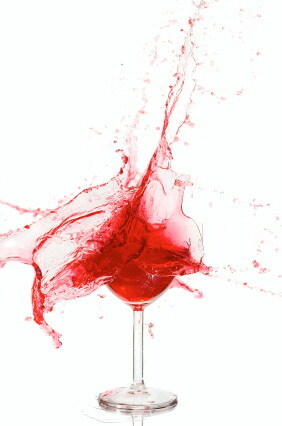 Outwardly I pretended that wine was something I had fun with, a drink that I could easily take or leave which never presented itself as anything other than a harmless social lubricant. I laughed off hangovers, joked about waking up on the settee fully-clothed (again), and accepted all the associated negativity with a smile that spoke volumes about my established dependency upon alcohol. My apparent carefree attitude towards booze represented the degree to which I had settled for a mediocre life beset by lethargy and a numbed mind, in return for a few glasses of red or white each evening which I sipped obediently until I fell into a sleepy heap in front of the TV. But beneath all of the light-heartededness was a festering tangle of thoughts borne out of fear; fear that I was turning into an alcoholic, fear over the fact that I seemed to possess no off-switch when I drank, fear that my life just would not come together in the way I wanted it to, and fear that I would waste my life drunk before dying prematurely from some alcohol-related illness or accident. In amongst these dark worries, I began to consider that I might not be the only woman who felt this way, and that despite others allegedly being able to consume alcohol with none of the terrible side-effects that I always experienced, I became quite sure that at least some of those people perhaps did not have such an easy relationship with booze. What if, behind closed doors, there were thousands of us? Millions? And what if we all had a place to talk to one another and share our stories? And so, www.Soberistas.com was born. I believe that one of the key reasons why our website helps people to even consider an alcohol-free life (and for many, to eventually adopt one) is that in realising one is not alone, the battle is part-way to being won. It helps restore confidence and self-esteem the second we understand that this problem is not just ours but something which affects millions around the world. We are not freaks, irresponsible or reckless fools, but intelligent, caring, warm and supportive people who love to help one another. We are all normal people, we are evidence of the fact that those with a ‘drink problem’ are always the men or women in the street, just regular people with regular lives but who cannot stop drinking once they begin. Since the launch of Soberistas, I have loved watching our community grow in strength and solidarity, witnessing an online friendship group that is characterised by its non-judgmental attitude. I have never known a friendlier, more supportive place than Soberistas, and I always feel happy and content when I have spent time reading through the many comments, blogs and discussions that are posted daily – it restores my faith in humanity on a regular basis. My idea for Soberistas stemmed from the simple fact that I had a suspicion I was not alone in enduring a relationship with alcohol that stifled me for many years, but in the event what has emerged from the site is a phenomenon that has simply blown me away. My passion for challenging the stigma that exists in society in relation to (especially women) those with an alcohol dependency has grown massively since the birth of Soberistas, and I know that this is where my future now lies. At the end of next week I will leave my part-time job at Sheffield Hallam University in order to focus 100% on Soberistas and writing more books. I feel very lucky to be at the centre of this wonderful group of people, and optimistic that we are beginning to witness the first signs of a cultural shift in which binge-drinking will gradually become a far less ordinary thing to do. I feel so strongly that we, as human beings, should always strive to help one another. It saddens me when I am faced with a person who is devoid of empathy or compassion, for what do we amount to as a species if we cannot say that we love and care for humanity? Thinking about other people also helps us, in that we can grow as individuals when we take the time to think of others. We become less wrapped up in our own issues, more concerned with what is happening in other people’s lives. I don’t consider that people who are morbidly obese or who drink too much or who compulsively gamble or who sleep around, are happy and in control of their lives. When any addiction rules your life it is because of entrenched insecurities or an emotional need which has been left unmet. It is not because the gambler or heavy drinker wishes to ruin their life and the lives of those around them. It is not as a result of choice – rather, it is down to powerful urges and the desire to feel complete, emotionally full and ‘normal’ in a world which judges too frequently. We humans are not without our flaws; emotions and hormones and our genetic make-up combine to establish certain weaknesses that we must, if we are to be happy, learn to conquer. There is no-one on the planet who is not beset by a fault, an issue that impacts negatively to some degree on the rest of their life. Nobody is perfect. Life makes us what we are, but if we’re afforded the benefit of compassion, kindness and love from the world around us, we have a fighting chance of becoming the person we should be, the one who is hiding beneath the layers of negativity, the one that people have never seen. What is wrong with accepting that human beings are susceptible to weakness and inner struggles? Why can’t we all show tenderness to people who are not yet in the emotional place we feel they should be? With love and understanding we can help each other find a happy place where the need to seek contentment from without can be eradicated by the shared knowledge that true joy only ever stems from within. I remember well the first time I got drunk. Martini ‘anytime, anyplace, anywhere’ was my poison (well it was the Eighties!) and when I arrived at a friend’s party one night, bottle in hand, I imagined that I would soon be glamorous and sophisticated. It didn’t quite pan out like that. Swigging straight from the bottle in the Portakabin toilets of our local scout hut was a long way from the TV commercial featuring a glamorous woman in a white bikini running along a tropical beach to embrace her lover. But I was thirteen years old, I didn’t have a tropical beach to go to, or a handsome boyfriend to embrace, so this would have to do. I remember even now how vile that peppery liquid tasted, yet somehow at thirteen I just knew that I must persevere, for this was the sure-fire way to adulthood and acceptance. At thirteen I was skinny, shy, a bit of a swot and woefully lacking in self-confidence. I was bullied relentlessly at school, but with that first taste of Martini I suddenly felt powerful, attractive, confident. And that was it – the start of a twenty seven year love affair with alcohol. Since becoming involved with Soberistas in November 2012, I have learned that my story is not unfamiliar. There are now fourteen thousand members worldwide – thousands of us whose stories are different yet the same; Shy girl / boy with low self esteem meets alcohol and BOOM! For many, me included, alcohol is not seen as particularly problematic until a way down the line. Why would it if it does not appear to be causing you any major health problems (yet), and when half the population appears to be doing just as you are? For years I attributed my low level anxiety and low mood to physiology, never once thinking to point my finger at alcohol. How many of us are irritable with our kids / partners because we have a low level hangover? How many of us are unproductive and simply muddling through life because of low mood? When the goalposts of ‘normal’ alcohol use shift, as seems to have happened in our society, it is perhaps more difficult for an individual to see that something is wrong. In just a generation the levels of alcohol use that constitute ‘normal’ drinking have gone through the roof. For many, the alarm bells only begin to ring when we are already well down the road of an alcohol use disorder. But maybe, just maybe, if we lose some of the stigma surrounding alcohol and its misuse, people may begin to question their habits earlier on, before they begin to slide down the slope of full blown addiction. Maybe our society is waking up to the fact that our alcohol consumption is excessive and unhealthy. It does not matter what you label it – alcoholism, alcohol dependence, alcohol misuse, binge-drinking or whatever. It does not matter if someone you know drinks way more than you. If it’s causing you problems it’s causing you problems. And you will know when it is. Just because everyone else seems to be getting hammered all the time does not make it OK if you are unhappy with it. Sod everyone else and get on with sorting yourself out. If you feel like you are already on the slippery slope you are highly unlikely to get off it without action. It sounds obvious but without effort on your part you cannot expect things to change. If you suspect that you have unhealthy issues with alcohol and do nothing about it, you are taking one hell of a gamble. I strongly feel that by talking about alcohol issues and trying to remove some of the stigma surrounding alcohol misuse, people who are just beginning to question their relationship with booze may feel confident that they can take action. People who, up until recently, hardly believed they had a problem. At Soberistas, nobody is preaching – we just want you to be happy.